It can sometimes be difficult trying to determine when or if a dental emergency deserves immediate medical attention. Not every incident is as obvious as a broken or knocked-out tooth. So, when should you seek urgent care from your dentist when faced with a dental emergency in Memorial? Let us help you determine if what you’re experiencing should have you jumping in the car and on your way to the dentist office. You may consider yourself to have a very high pain tolerance, but that doesn’t mean you should try to simply deal with whatever dental emergency you’re experiencing. Yes, there are plenty of at-home tips you can deploy in the meantime, but ultimately, if you’re in pain, bleeding, or you have a broken tooth or restoration, you should see your dentist in Memorial as soon as possible. Oh, and just because it’s an emergency doesn’t mean the ER is the best place to go. Oftentimes, your emergency dentist is better-equipped to handle the situation. 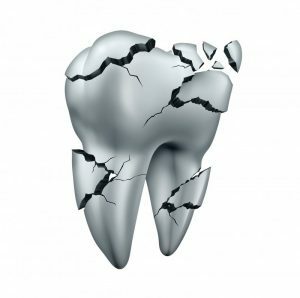 What Types of Dental Emergencies Can My Dentist Treat? If you are bleeding, work to stop it. Busted lips, tongues, or any injury that causes bleeding from the mouth should be addressed by trying to stop or slow the blood flow. Apply gentle pressure to the area using gauze. Only if the blood does not stop after 10 minutes should you visit the ER. Pain relievers such as Tylenol or Aleve may be taken to alleviate any discomfort. Retrieve the pieces. For chipped teeth or a knocked-out tooth, it is important to retrieve the pieces so that your dentist can try and save the tooth. Make sure to rinse any debris, but if your tooth is completely knocked out, hold it only by the crown to prevent damage to the root. If you can, try to reinsert it into the socket. Otherwise, store it in a cup of milk or water until you reach your dentist office. Never use force. If you have a tooth that is dislodged, be gentle in moving it to its proper position. If you start to force it, you could cause more damage. For instances where a toothache it the problem, it could be that there is food lodged between your teeth. Using dental floss may help to dislodge the food particles and alleviate any pain. Prepare yourself. Emergencies are always unexpected, which is why it’s important to always be prepared when one arises. Be sure to keep your emergency dentist’s phone number in your cell. This will help move things along more quickly should you need to call and make an appointment. Although you might be caught a bit off guard by a dental emergency, remember never to panic! Staying calm and collected can help when taking the proper measures to handle the situation. Also, never hesitate to call your dentist if you think you’re experiencing a dental emergency. Dr. Mark Gray, DDS, graduated from the University of Texas Dental School in Memorial. Dr. Gray and his team offer advanced technology to keep your smile shining bright. Your smile is important to us, which is why we want you to feel comfortable and ease during your appointment. To learn more about us, visit our website or call (281) 493-9395.